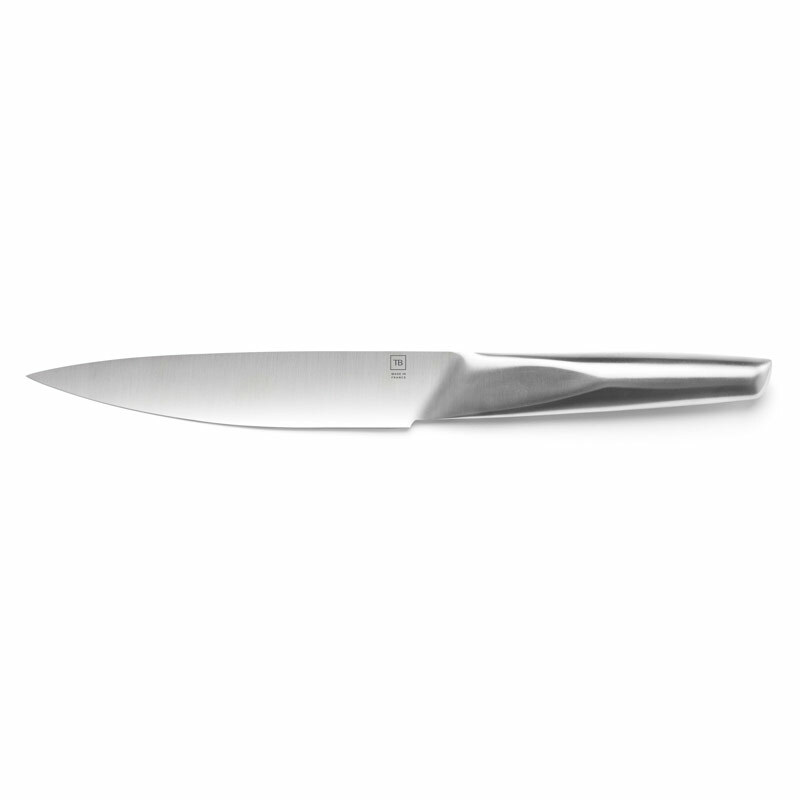 On the table, this Made In France kitchen knife offers a sharpen edge and a cutting power that seduce the guests. It can cut very precisely all types of meat. In the kitchen, it is very useful for the preparation of a lot of recipes including meat or not. This Transition steak knife can be used for other food such as fruit and vegetables, which are too big for a paring knife. This Transition steak knife offers sturdiness and real control. 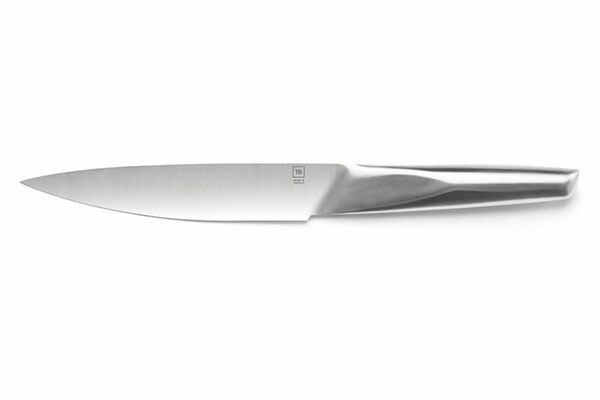 Manufactured in Thiers, this Made In France kitchen knife has a very modern design. 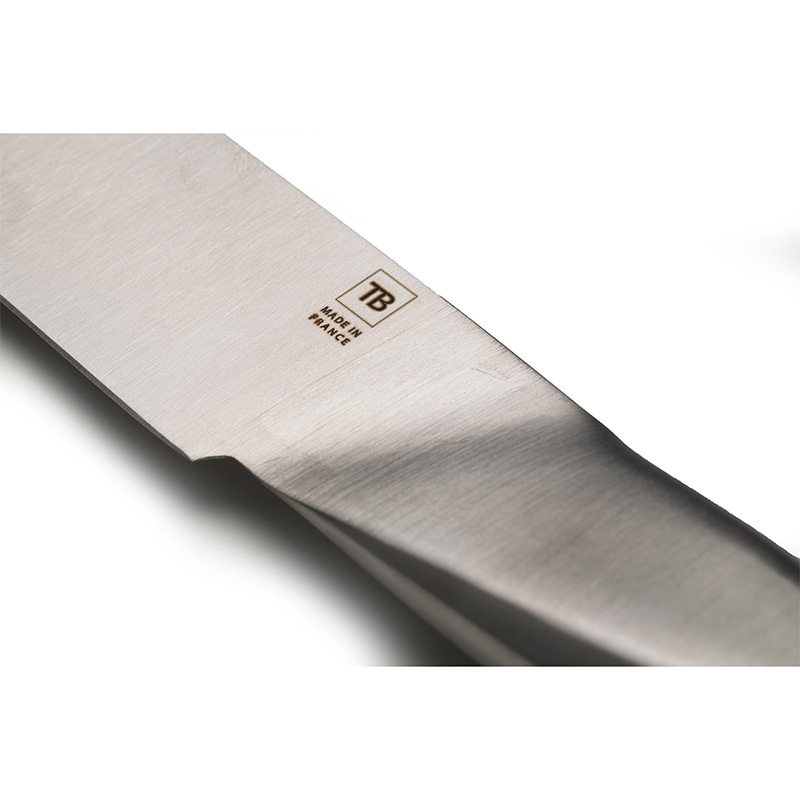 Its stainless steel blade can be personalised with a laser engraving, innovating technology used by French knife maker TB teams.